Canada’s dietitians and pediatricians are discouraging parents from relying on plant-based drinks—such as rice, coconut, and almond milks—as the main beverage for babies and young kids. Dr. Catherine Pound of the Canadian Paediatric Society said Nov. 8 that some plant-based beverages are not fortified with any minerals or vitamins and often contain sugar as the second ingredient after water. “There’s a bit of a push from the health movement where people think or feel that plant-based nutrition is better than meat-based nutrition, which may be true in adulthood where we are recommending to move away from eating meat very frequently, but the same doesn’t hold true for children who need the protein,” says Pound. Meanwhile, almond, coconut, or rice drinks contain little to no protein and would require kids to also eat two child-sized servings of meat or two half-cup servings of lentils. Almond drinks only contain about four almonds per cup. The experts say the best foods for growing children are whole, fresh, and unprocessed fruits and vegetables, as well as whole grains, dairy, and meats. And while fats are avoided by many adults, they are a valuable nutrient for young children, says Pound. 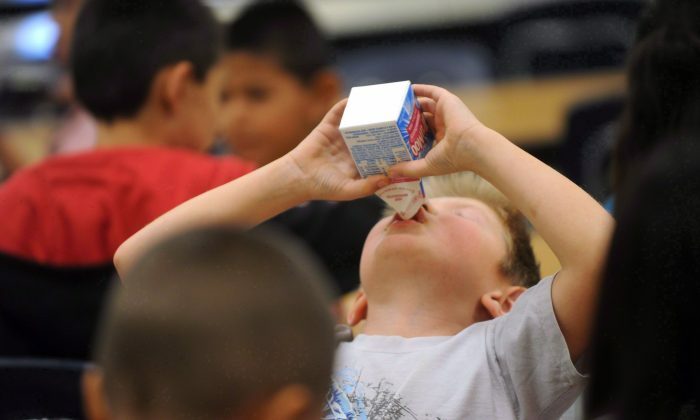 The joint statement with the Dietitians of Canada also warned that drinking too much of the plant-based beverages can displace hunger and cause children to eat less food.